Has spring arrived where you live? Here in San Antonio it gets warm then it gets cold but I know when May arrives it will be warm everyday. I love spring and it inspired me to create this card with the sketch we’re featuring at Hand Stamped Sentiments. I used the peacock from the World Treasures stamp set for the focal point of my card. I first stamped it in More Mustard then used my 2-3/8 Inch Scallop Circle Punch to punch the peacock out. I stamped the peacock again in Island Indigo and cut out the body to layer over the More Mustard. The rhinestones are colored with a Sharpie to match the Island Indigo. The sentiment is stamped with Island Indigo from the Teeny Tiny Wishes and die cut with the Bitty Banners Framelits die. The layers are Fan Fair DSP, Crumb Cake and Island Indigo. I adhered the Island Indigo 3/8″ ruffled ribbon and the Large Scallop Island Indigo to the Crumb Cake layer. It’s also embellished with basic rhinestones colored with a Sharpie. Join us at Hand Stamped Sentiments and show us your sketch inspired project. Guess what? Today is a really big day! It’s the launch of the Stampin’ Up! Spring Catalog. Click on the link located on the right side of my blog to view. The catalog widget will appear at midnight CST. I have also included a card featuring the All Dressed up Bundle. See page 32 of the Spring Catalog. This bundle is a must-have. I used many items from the new catalog. Do you see those luscious huge rhinestones? They’re new! A new 8mm rhinestone is now available (page 8). Another new item is the paper doily (page 5). The dress and stand is die cut using the Dress Up Framelits. So cute!! In case you’re wondering about the layout, it’s based on the sketch for this week’s Mojo Monday sketch. INTRIGUED AND WANT TO SEE MORE? RECEIVE A FREE SPRING CATALOG & SALE-A-BRATION BROCHURE! If you would like FREE copies of both sent to you, please click here. Provide your mailing address in the message box. U.S. delivery only. If you plan to purchase products through another Stampin’ Up! demonstrator, please contact them directly for your copies. No demonstrator requests for catalogs, please. STAMPIN’ UP! HOLIDAY CATALOG ENDS! 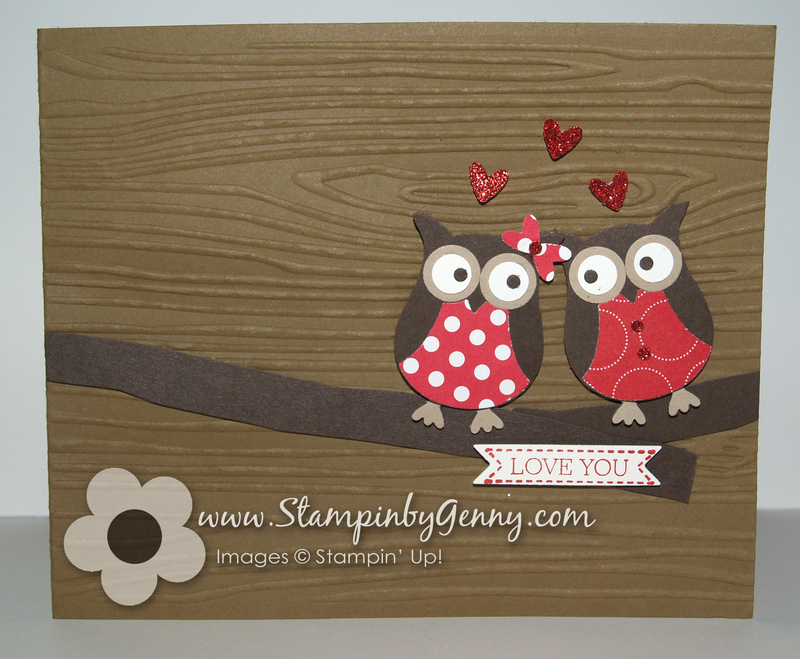 The launch of the Spring Catalog also means that January 2nd is the last day of the Stampin’ Up! Holiday Catalog. Select products available for purchase after January 2nd and are listed in the Spring Catalog on p. 36. MDS DOWNLOADS AND A FREE DOWNLOAD View More My Digital Studio Releases. SEE ALL STAMPIN’ UP! PROMOTIONS IN ONE PLACE! I hope you’re inspired by all the wonderful products in the spring catalog. If you have any questions about any of the products in the new catalog, please contact me. 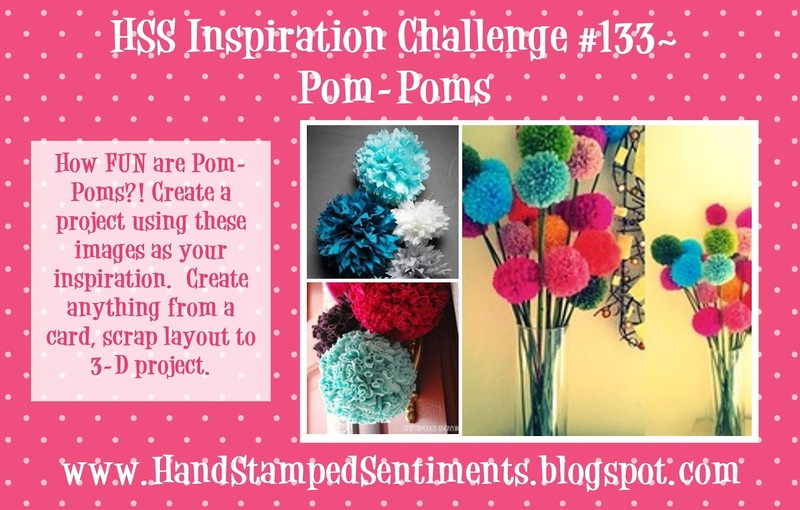 For this week’s Hand Stamped Sentiments challenge we have a pom pom challenge. Create any project using pom-poms. I created a paper pom pom with DSP from the Summer Smooches collection. I found these instructions for making the paper pom-pom here. Super easy! Be inspired! 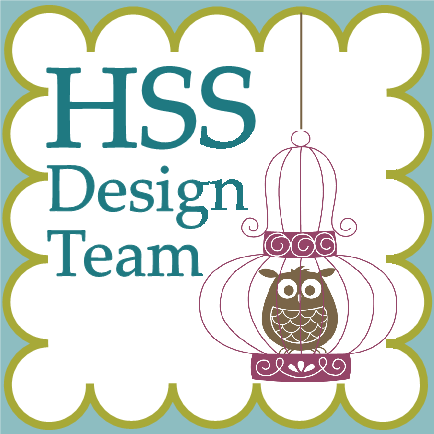 Visit Hand Stamped Sentiments and see all the wonderful projects from our design team. 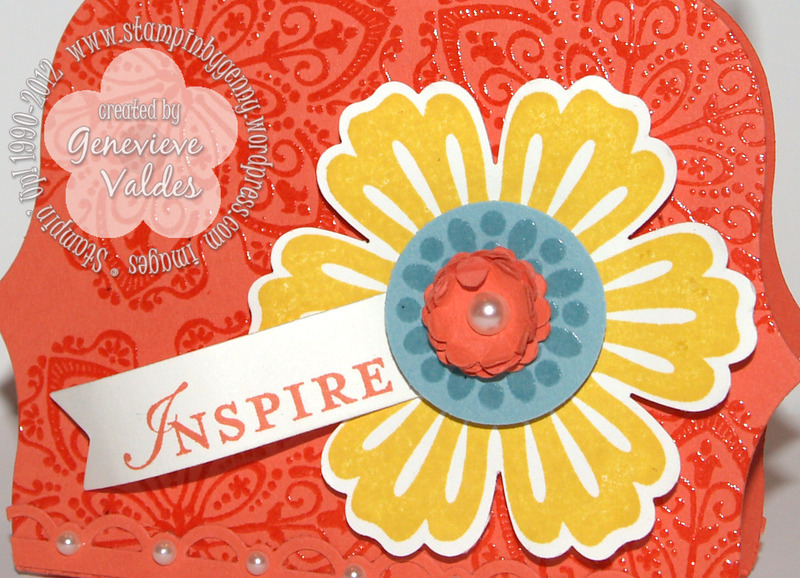 This week’s challenge at Hand Stamped Sentiments is a color challenge of – Calypso Coral, Daffodil Delight and Baja Breeze. Gorgeous summer colors! As I was looking through Stampin’ Up’s new Idea Book & Catalog I saw a treat pouch created with the Label Framelits. I first cut two framelits using the second to largest framelit. I then stamped the flourish flower from Mixed Bunch with Versamark and heat embossed it in clear. Score where shown. 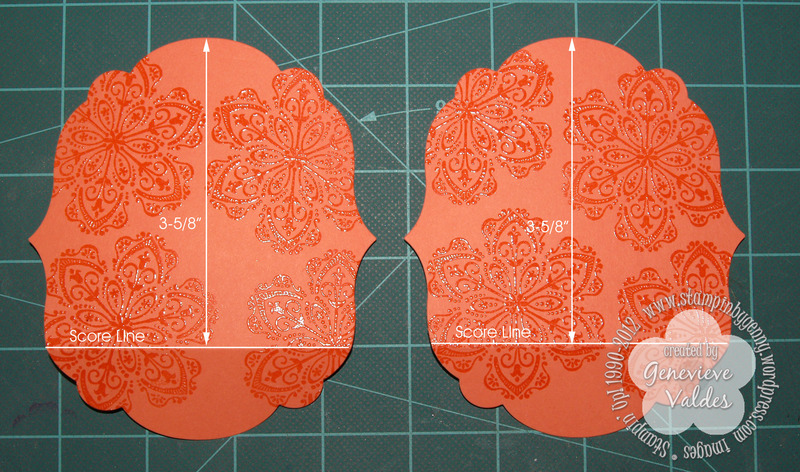 Punch both sides of a 1-1/4″ x 3-3/4″ Calypso Coral strip of cardstock with the Scallop Trim Border punch. Trim the strips and adhere them to the bottom of the pouch. Adhere the bottoms of the pouch with sticky tape. 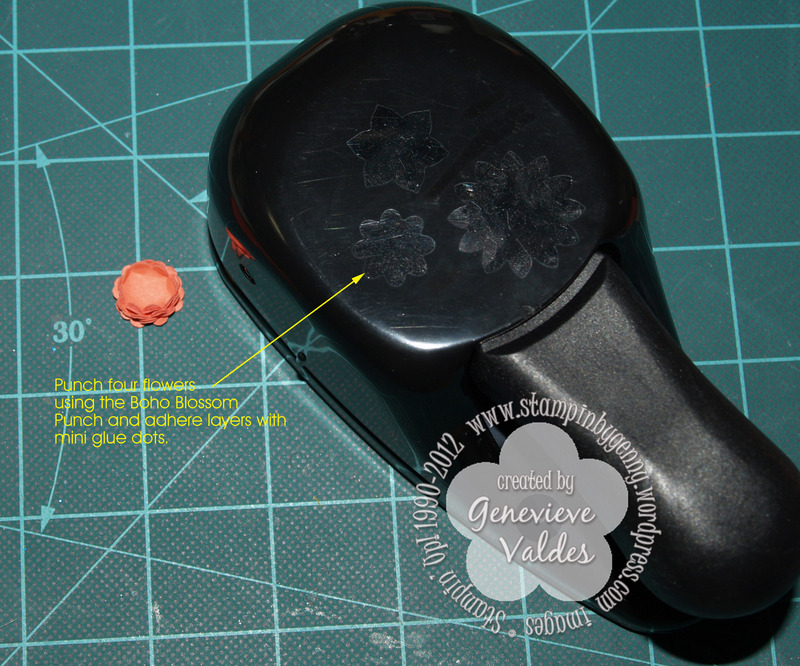 Stamp the flower with Daffodil Delight and punch using the Blossoms punch. 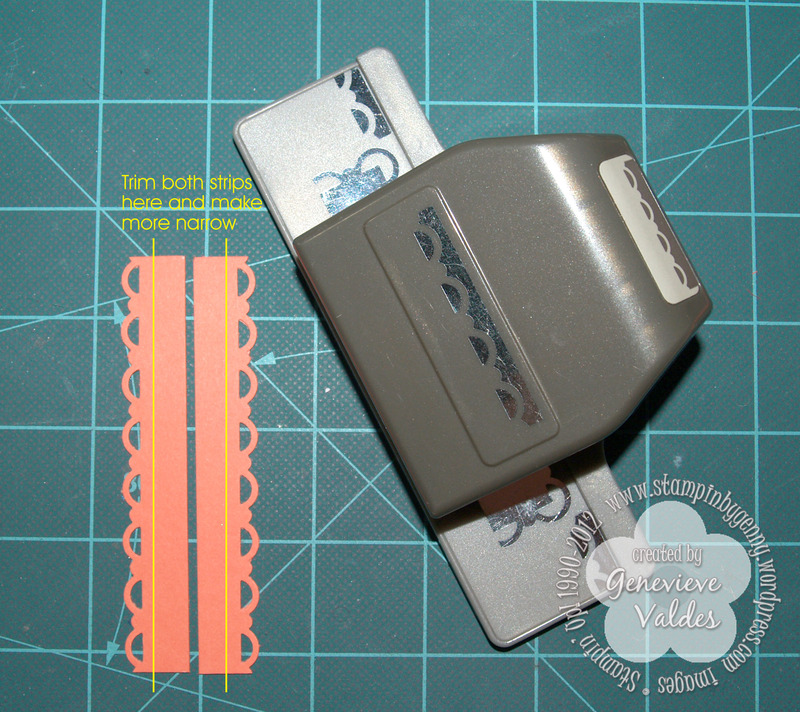 Stamp the center on Baja Breeze card stock with Versamark then clear heat emboss. Use dimensionals to adhere the Baja Breeze center to the flower. Stamp the sentiment then die cut using the Bitty Banners Framelits. Adhere the banner behind the center with a mini glue dot. Embellish Scallop Border Trim edge with pearls. Punch a hole through both sides of the pouch with a regular hole punch. Use an 8″ piece of Daffodil Delight seam binding to tie together both sides. 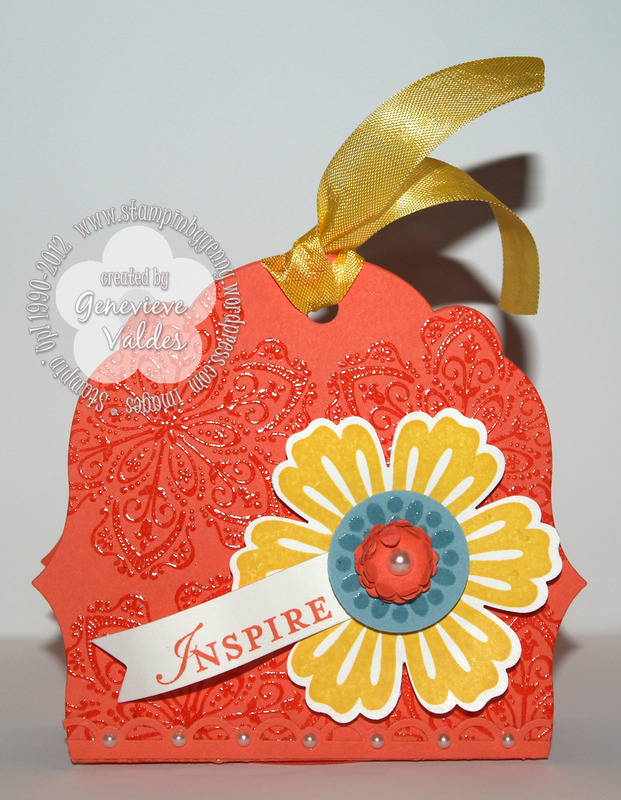 I hope you’re inspired to join us this week at Hand Stamped Sentiments. Also take a look at the amazing projects from our talented design team. Summer is here and what better way to cool off than with a pinwheel. My card this week is inspired by Hand Stamped Sentiments Quilt Inspired Challenge. When I saw this challenge I immediately thought pinwheels. The Patio Party cupcake dsp was perfect for my project. I cut a scallop circle from the dsp and pieced it together then made a 2.5″ x 2.5″ pinwheel for the center and used an Antique brad for the center. I also die cut a doily for the layer behind the scallop circle. The Midnight Muse layer is embossed with the Perfect Polka Dots folder. This was any easy card to make. 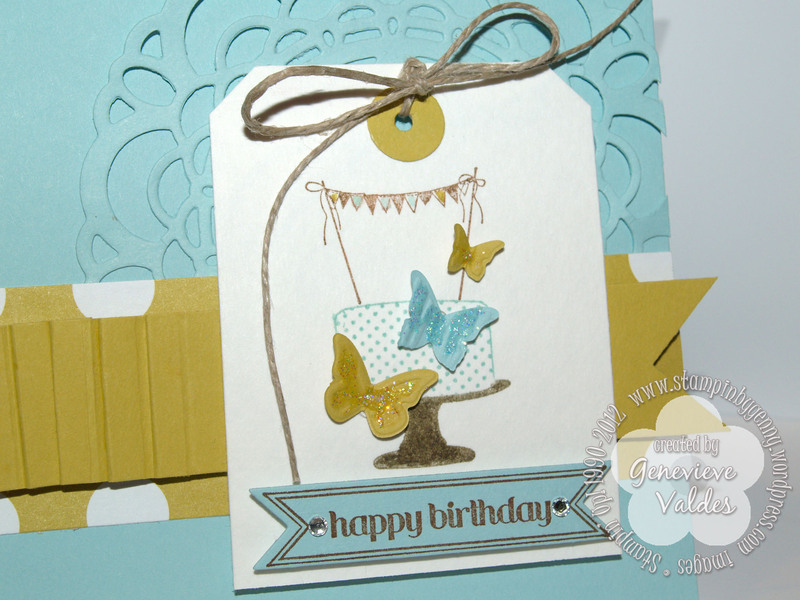 Here it is another week and another Hand Stamped Sentiments challenge. Wow! Where does the week go!? For this week the challenge is paper pleating. There are so many great ways to fold paper and use it to embellish any project. 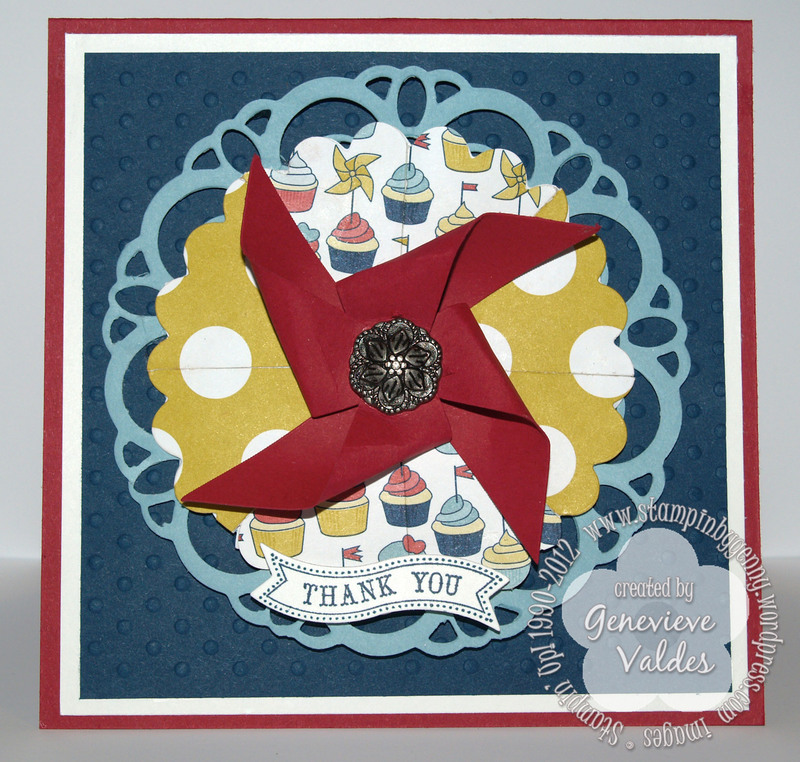 For inspiration I CASED a card from the new Stampin’ Up! Idea Book and Catalog. I used Summer Starfruit cardstock with Pool Party. I love this combo! Summer Starfruit is fast becoming one of my favs. I stamped my cake image on watercolor paper and used a blender pen and pads to color the banners on the cake. I embellished the cake with butterflies die cut from the Embosslit Beautiful Wings. To add sparkle to them I added Dazzling Details to the wings. The DSP is from Patio Party and the sentiment is from Itty Bitty Banners. The banner is die cut with the coordinating Bitty Banners Framelits. For a soft layer in the color Pool Party I die cut a doily using the Paper Doily Sizzlit. Instead of ribbon I cut a strip of Summer Starfruit and used the Simply Scored Scoring Tool to score my paper to make it easier to pleat. If you haven’t used the Simply Scored Scoring Tool you need to! It’s so easy to use and in my opinion the best scoring tool on the market. I hope you’re inspired to join our challenge. 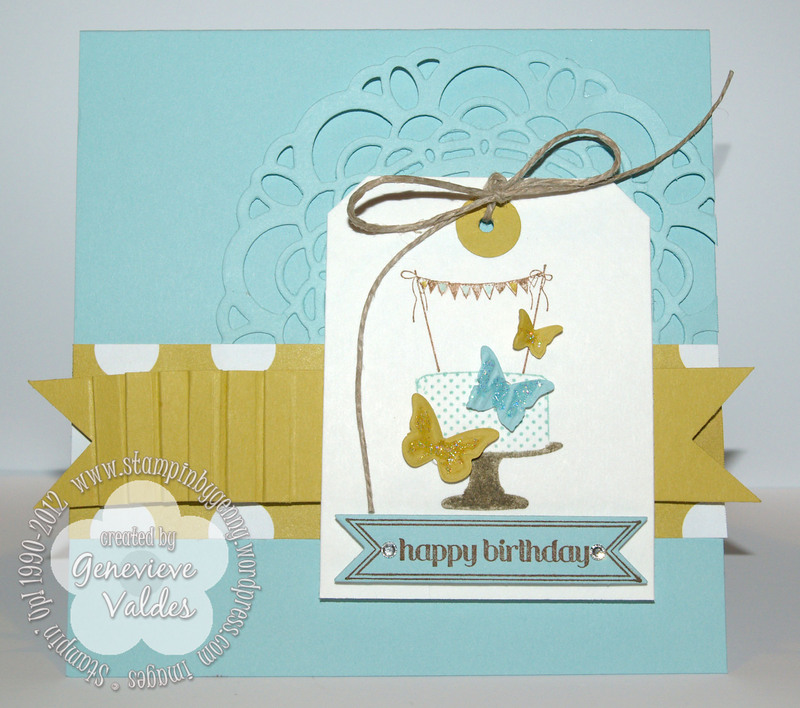 Hop on over to Hand Stamped Sentiments and see all the wonderful projects created by our talented design team.